Each puzzle contains four pictures that have one song in common between them. What is it? Can you guess what the Song is? This game is a very highly addictive and surprisingly simple game without any unnecessary registrations and complicated rules. 4 pictures that have 1 Song in common – what is it? All the pictures have been handpicked to match the song perfectly to enhance the player experience. 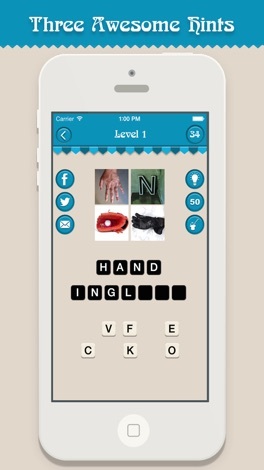 An amazing word puzzle game for all you word and puzzle game lovers. So why wait? Play now and have fun! Hundreds of the famous people are waiting. You've seen them on TV, movies, books and magazines. But can you recognize them from our funny images? Join the game now! If you are blocked and you don't know the answer for a pics, don't give up! Use one of the hints that each pics has! 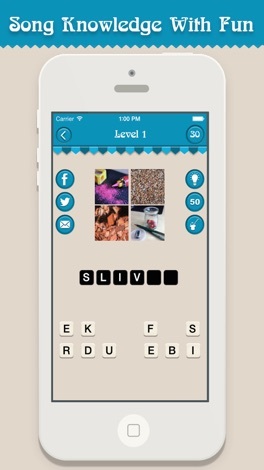 - 3 hints can be used for each pics. 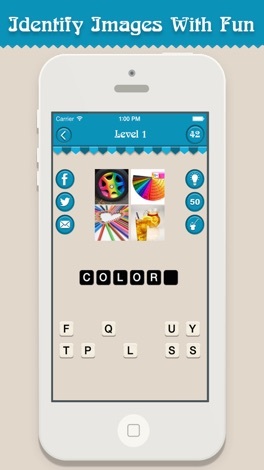 If after using all the hints, you still don't know the answer, don't worry! You can always ask your friends through twitter or facebook,email, and complete the missing ones with them! Enjoy for Free and Have Fun with Guess The Song Quiz! All images are properties of their respective owners. Any content will be removed if asked by the legal owners. How fast is your brain? Ready to test your reflexes? 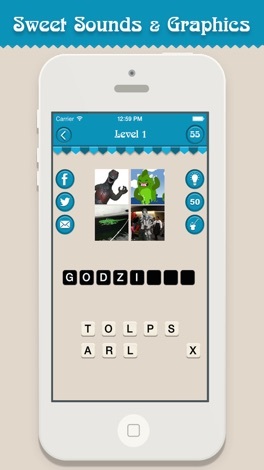 Test your skills in this funny game where you have to find as soon as possible the different monster. 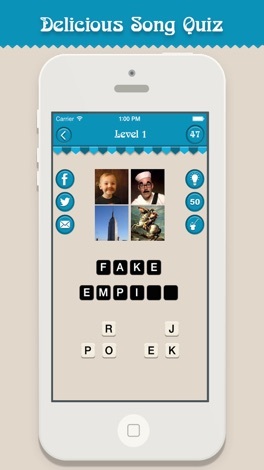 Many levels with increasing difficulty! Who will be the best? Have fun!